"Isaac Newton, the Last Sorcerer"
I just finished reading this wonderful book about Isaac Newton, and personally I found it a page turner. At times a vain man and with such an intellect, Newton could be very devious, but one who was meticulus in his methods and tenacious in his desire for the truth. 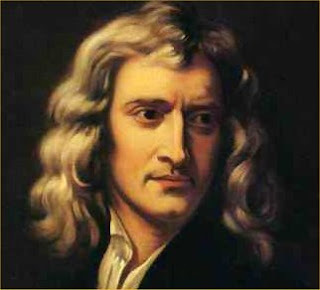 Unknown to many Newton came very close to the Theory of Relativity and to an understanding of Quantum Mechanics. This book protrayed a true picture of the man, not leaving out his devling into Alchemy, as many biographers wish to omit. Well researched and well written, the biographer must have taken Newton's own phrase to heart, "I am a friend to Plato, I am a friend to Aristotle, but I more of a friend to the truth."